Happy spring from your Brookline dentist office! While recent weather may have you feeling like we are still in the middle of winter, our office is gearing up for warmer temperatures and sunshine. We’re ready for spring cleaning, blooming flowers, and budding trees. As board certified Prosthodontists, we are also ready to treat any of your cosmetic or reconstructive needs. If your spring is off to a rough start with tooth pain, or pain in your jaw, give us a call. Temporomandibular Joint pain is referred to as Temporomandibular Joint Disorder (TMD), or TMJ syndrome. It refers to chronic or acute pain in your jaw as a result of inflammation. When the joint is inflamed, pain usually radiates to the area in front of your ear and into your cheek. Our Brookline dentist can help you identify your symptoms and discuss options for your health. If you experience tightness in your jaw or your jaw clicks when opening and closing, consider scheduling an appointment with our office. Pain when chewing, jaw and face pain, and stiff facial muscles are other signs of a problem. 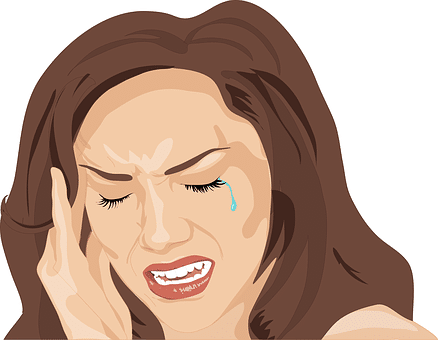 In many cases, TMD pain causes headaches. Arthritis or genetics can also be factors so talk with your family and our Brookline dentist if you experience any abnormal symptoms. Rest: Refrain from chewing foods that are tough or extra crunchy. Give your mouth a break and opt for soft foods so your joint has time to heal. Stop chewing gum or gnawing on pens and pencils. Warm and Cold Compresses: Alternate between cold and warm compresses if you experience pain in your TMJ. Twenty minutes of cold and twenty minutes of warm a few times throughout the day will ease the pain. Cover an icepack with a cloth to protect your skin. A damp washcloth warmed in a microwave for 20-30 seconds is an easy way to create a warm compress. Facial Massage: You can increase blood flow to the area by massaging the area around the joint. Gentle pressure and circular motions with your fingertips on painful areas will help relieve muscle tension. A few minutes will relax your muscles and ease joint pain. Relaxation and Sleep: You may grind your teeth or clench your jaw at night which can lead to pain when you wake up. Try sleeping on your back or stomach instead of your side and change up your nighttime routine. Add a period of relaxation into your night schedule so your muscles, mind and body have a chance to decompress. Taking a bath or reading a good book, right before bed, can be helpful. Contact our office if you continue to experience joint pain or TMD. Home remedies may ease the pain for some time, but our professional prosthodontists can treat your problem so it no longer interferes with your life. Follow us on Facebook for more information regarding our services or give us a call with any questions you might have.